PLEASE NOTE: we are currently plugging fiction, non-fiction, and poetry into issues two years in advance. You are certainly still welcome to submit, just with the understanding that you will have to be patient if your piece is accepted for publication. We are actively seeking art and photography submissions for earlier issues, so please send those along without hesitation. Blank Spaces is open to submissions on an ongoing basis. To submit writing, photography, or art to be considered for publication, please read and follow these guidelines. If we decide to publish your piece, we promise you will hear from us. Cross our hearts! So please don't email us asking whether we have read or accepted your submission. We will do our best to contact everyone in a timely manner but please be gracious - this is a heart project, after all, and we have day jobs and families to care for too. Submissions that do not follow the submission guidelines will not be eligible for consideration. Submissions that do follow the submission guidelines are not guaranteed publication. We intend to publish the best that comes across our desk. Sometimes we will offer suggestions for edits in order to help your piece better fit our vision, or we may decide your piece is more appropriate as a feature on our blog than in print. You will be kept in the loop regarding all decisions and will be notified of your publication date well in advance. We are trusting you to send us your strongest work. Please trust us to know how it is best served. In all things, be polite and be gracious. We would love to build a lasting relationship with you, offering you more opportunities in the future but we're only open to that if you play by the rules. 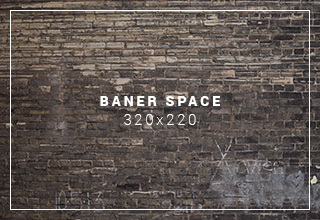 Blanks Spaces is a Canadian publication, looking to champion the work of Canadian creatives. Blank Spaces does not accept queries. Only complete manuscripts or complete bodies of visual art sent digitally will be considered. Simultaneous submissions and work previously published on your own blog or website are both okay. If the work has been previously published in print (or on an online space you do not own) let us know when and where and be sure you have the proper rights to allow us to republish. We are not interested in acquiring rights and will not be held responsible if you do not do your due diligence. Contributors retain all the rights to their own work. (Please alert us if you're submitting a simultaneous submission.) As a courtesy, we request that you refrain from submitting your accepted work anywhere else until three months after the date of publication. Submit only one piece/collection at a time. You are welcome to send multiple submissions but each must be contained within a separate email and each submission is subject to the submission fee (unless we are currently running a free submission promotion). If you're submitting poetry, please send a collection of at least three poems for our consideration. Contributors to the magazine will receive a complimentary one year digital subscription to Blank Spaces, beginning with the issue their work appears in. Contributors will also be invited to purchase a print copy(s) at a discounted rate. Yes, we charge a small submission fee. This helps us cover some of our costs, and helps fund trips to marketing and networking events. It also weeds out the submissions of people who are not as serious about their work. If it costs you a few dollars to submit, you're less likely to send us something we can't use. Submissions will not be opened until payment has cleared. Don't make a payment until you're ready to send your submission. BUT, because we want to be sure money isn't something that holds you back, we run free submission months during September, December, March, and June—so feel free to wait for a free opportunity before submitting. Familiarize yourself with our various categories (see below) so you can submit confidently and appropriately. Follow the link at the bottom of this page to complete the subscription process. Complete the payment form, paste in your Cover Letter (see below for our cover letter expectations) and upload your file. If you prefer to submit via email, please complete the payment form and then send your submission to the email provided on our contact page. Put the entire submission into the body of the email, not as attached documents. Format as follows: In the email SUBJECT LINE be sure to put [SUBMISSION]+[TITLE OF ARTICLE]+[CATEGORY]. In the body of the email/cover letter begin by introducing yourself. No pressure, we just want to fall in love with you. If you have publishing credits, great. If not, great. We'll celebrate your portfolio with you but certainly don't require it. We expect your work to speak for itself. Tell us a little about your submission: bait us with a hook, reel us in with a brief synopsis, and let us know what section of the magazine you think it would fit into. 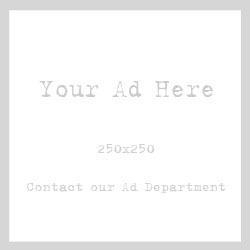 Offer us links to your website and social media accounts so we can get to know you even better. If you would like to submit art or photography, follow the instructions for email submission as stated in #8 but instead of posting in an article, send us a link to a web page, or attach low-res images. 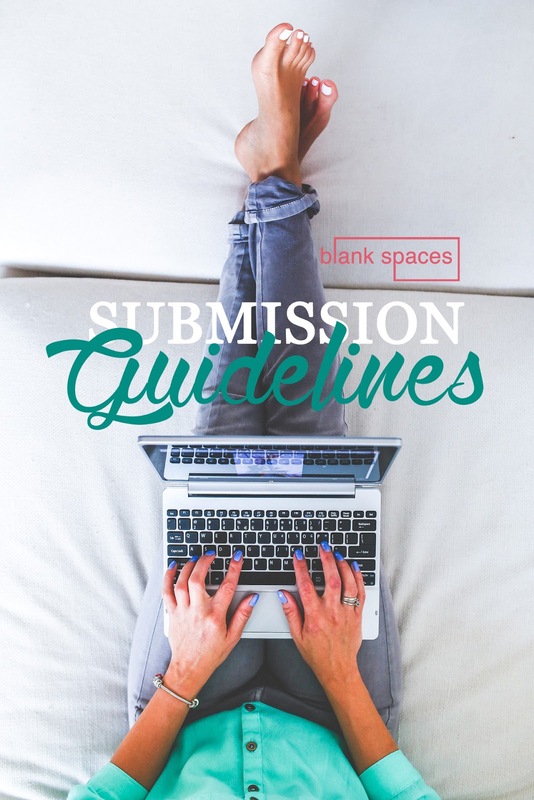 You should submit a complete titled body of work that you would like to see published in Blank Spaces. We would like to see at least 10 images to consider your submission. If you are selected for publication, we will be in touch to ask you for hi-res images, free of watermarks or other graphic overlays: RGB jpeg images that are at least 300 dpi. If you cannot provide print-ready digital images, please do not submit. If you're interested in sending us a guest blog post, please see our blog submission guidelines in our blog sidebar. 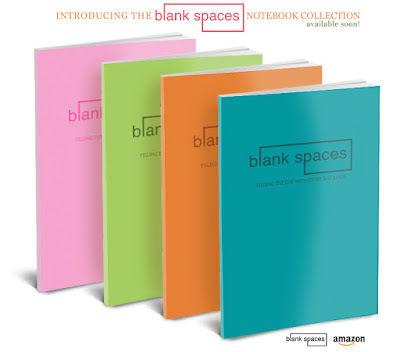 Please remember that by submitting your work to Blank Spaces you are submitting to the discretion of the editor. If you have questions please visit our FAQ page before emailing us. HINT: bonus points if your content is clearly Canadian - especially photography. Do not include vulgar language or explicit sexual content. See our FAQ page for a list of what we will not publish. To complete the submission process, please click here.